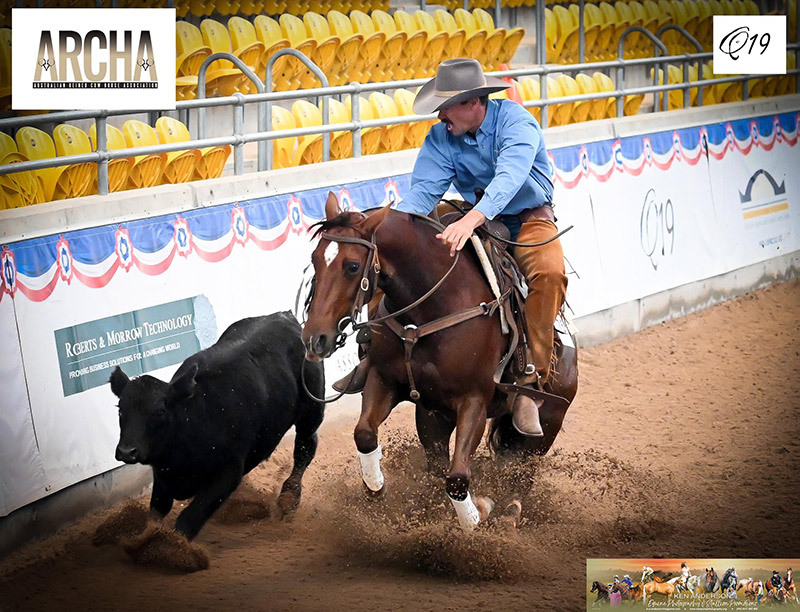 Rob Leach & Peter & Maree Rogan’s imported mare Shirley Shiny are proving to be a formidable pair. On the weekend they won the AQHA Working Cow Horse at Q19 in Tamworth, this on the back of their win in the Coonamble Open Challenge & 4th placing in the Maiden draft. Full schedule coming up for Rob, Dalby, Toowoomba and managing to fit in a clinic with Buttsy at Camden enroute to Willinga Park.